It is not easy to find out the exact color of a howler monkey. You can find it in reddish, black or brown color. 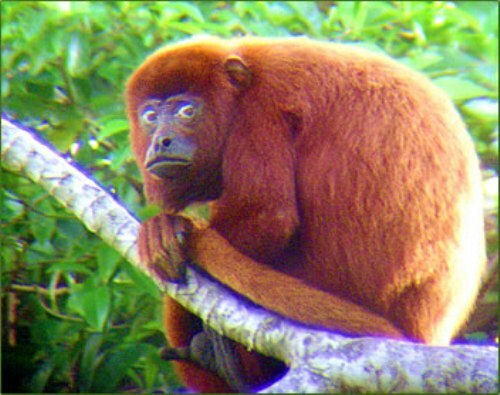 Actually the color of howler monkey depends on the species. Howler monkey has large feet and hands. It also owns a dense prehensile tail. When the animal wants to pick up objects, they will use the second and third fingers. The female howler monkey has the weight of 4 to 8 kg. 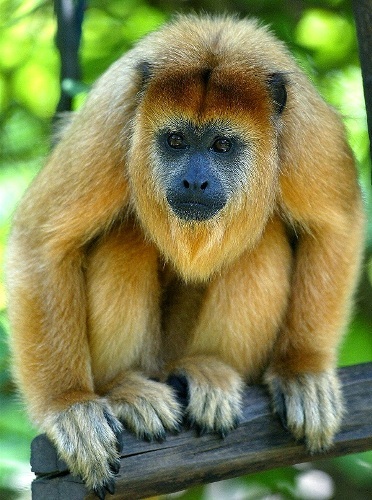 The male howler monkey has the weight of 7.2 to 10 kg. In average, the howler monkey has the length of 1.2 to 1.8 meters. You can find howler monkey in South America and Central America. They like living in northern Argentine and southern Mexico. You can find them in the subtropical and tropical forests. The monkey is called howler monkey because of the loud howling calls. The monkey will have the first howling after the sunrise. 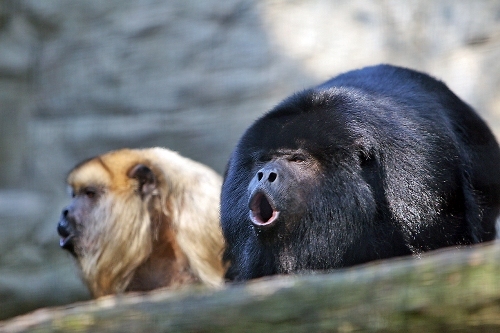 The female howler monkeys usually produce louder sound than the male ones. The howling will be produced to warn others if there is any threat. People can hear the howling in the distance of 3 to 5 km. The smelling ability of howler monkey is good. They will know the food in the distance from 2 km. 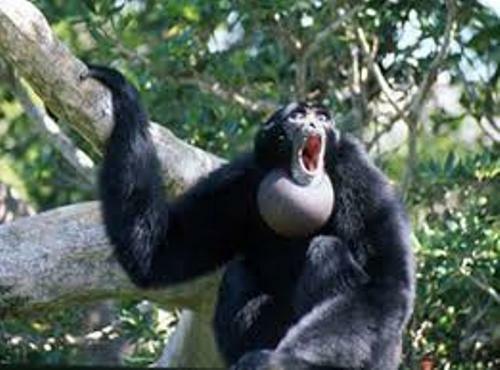 Many people sometimes call howler monkeys as howlers. They can produce the loud call. The skeleton is very adaptable. You need to check the unique shape of a skull and throat which enable the howler monkey to make the howling call. During the afternoon, the howler monkeys will take rest. They will sleep on the trees. The day is started with feeding. The resting time takes part in the three quarter of the day. Other activities that this animal does are feeding and traveling. A group of howler monkeys is called as a troop. In average, it has 30 members. There are more female howler monkey that the males ones. Find out the general facts about monkey here. Even though the number of males in the troop is less than the females, the males are still the dominant member. They will be leader through the leave. In average, howler monkeys live around 15 to 20 years old. 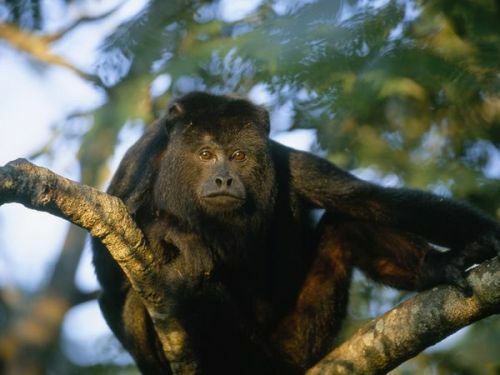 Are you impressed with facts about howler monkey? Let me show you the interesting Panther Facts in the following post below. Panther is rough and agile animal.